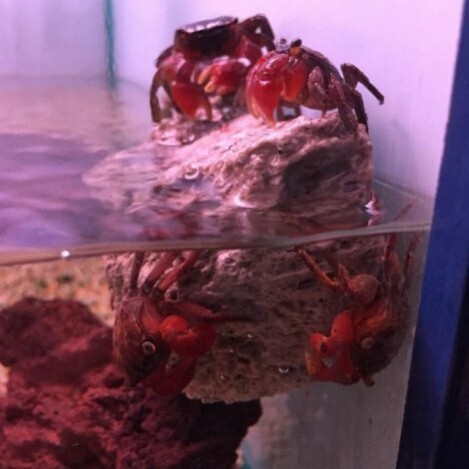 The red claw crab is best kept in tropical tanks. They do need a dry area to sit out of the water. There maximum size is 4.5 cm/2 inches. They are best kept in water parameters of Ph range 6.5- 7.5, temperature range 24-29 °C / 75-85 °F. 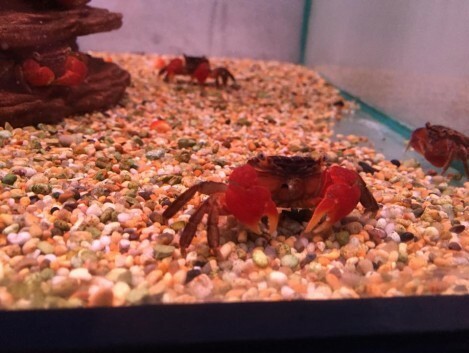 The red claw crab is something different to add in to your tropical fish tanks. They are very good at escaping however, so we do recommend that you cover every escape root. They fed of the bottom of the tank, so sinking food is best. They need meat in there diet so live or frozen foods are good for them. Mixing them with fish however is hit and miss. We do say do not mix them with any other bottom feeding fish, or small fish as if they get hungry they can and will go after your fish so keeping them well fed is a good idea. Every so often they shed there skin, they shed it hole. When they shed there skin they are really delicate for a few days after so keep your eye on them. They go off there food for a few days and this is a sign they are getting ready to shed. They will eat there skin as its a good nutrition for them. They shed there skin to help them grow. Check out the You Tube clip of one eating its shed skin. Red claw crabs are very small, but with there claws they can take any size food. They do require meat in there diet so frozen and live foods are good for them, like frozen mussel, lance fish, bloodworm or brine shrimp. And as they eat of the bottom of the tank make sure the food you feed them sinks. 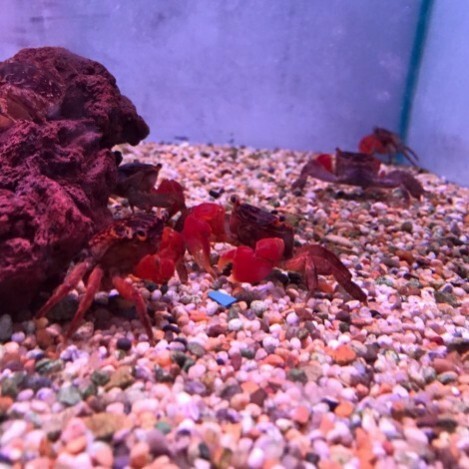 With red claw crabs we only recommend feeding once a day at the most.